The mixing of decaying organic matter from leaves, grass clippings, manure, fruit/vegetable peelings and numerous other sources to provide a rich combination of nutrients for soils. 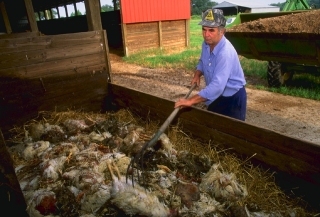 Composting is an excellent method for farmers and gardeners to recycle material from farmlands and gardens to enrich soils and simultaneously reduce the amount of material sent to local landfills. Organic compost is ideal for use in both flower and vegetable gardens, especially during the spring and fall months. When processed correctly, compost can be added to your garden and pots to be used as topsoil. Did you know that almost up to 30% of what goes into landfills is actually raw materials, which could easily be combined to form organic rich compost for use on farms and home gardens? It’s amazing to see how many people dump literally millions of tons of raw materials, which could otherwise be used for composting. Despite this fact, many consumers are becoming aware of some simple steps they can follow to make the composting process easy with minimal time and effort. Once learned, composting can reap significant benefits for consumers without having to purchase processed fertilizers, which usually lack a complete set of plant nutrients essential for optimal growth. Think about this for one moment? If you have just a few trees, plants and shrubs around your home, you have all the ingredients you need to make nutrient rich compost for pennies on the dollar. Forget about going out and purchasing bags of manure. 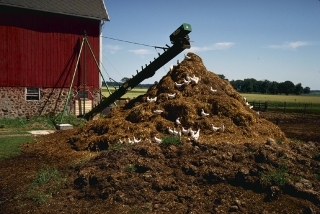 Over a period time using excess manure will create pH levels in soils which become to acidic, and can destroy both plants and micro nutrients in the soil. You’re far better off to become a do-it-yourselfer and create your own home made dark, odorless, nutrient rich compost.